It looks like big agriculture is preparing for another shake-up similar to those from a decade ago. Crop price volatility seems to be the culprit. Media reports show Syngenta in discussions with DuPont and DuPont in separate discussions with Dow Chemical regarding their seed and pesticide unit. Monsanto’s efforts to acquire Syngenta for $46B were unsuccessful and we’re hearing rumors that others are in talks as well. 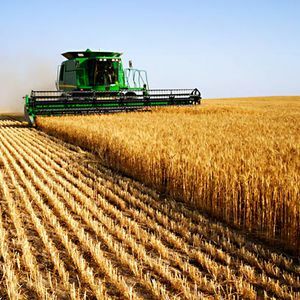 In addition to the dialogue being reported between the corporate giants of seed and crop protection products, US farm income is expected to hit its lowest level in nearly a decade. The US Department of Agriculture projects that US farm incomes to fall 36% this year which will be the lowest level since 2006 which will undoubtedly put pressure on profits. All of this is coming at a time when pests are developing resistance to genetically modified seeds, herbicides and pesticides and consumers are pushing for greater scrutiny of these products. On the positive side, consolidation will allow the Big Six (Monsanto, Syngenta, Bayer, Dupont, Dow Chemical and BASF) to combine R&D, cut costs and better scale to the challenges. The last big deal for this sector of agribusiness was when Monsanto acquired US based cottonseed developer – Delta & Pine Land Co. for $1.5B in 2007. From the increased media noise, it’s safe to say that a fresh round of consolidations can be expected in 2016. What we haven’t seen the media report on yet is what the potential impact will be for ag-industry managers and executives. Industry consolidation will definitely shake up org structures which could signal opportunity for small and medium-sized enterprises to acquire talent previously unattainable. If you have insights regarding the impact of these challenges on ag-sector talent, we would love to hear from you! Please send your comments to: ksalinas@qualifindgroup.com and put “Ag Industry Insights” in the subject line of your email.